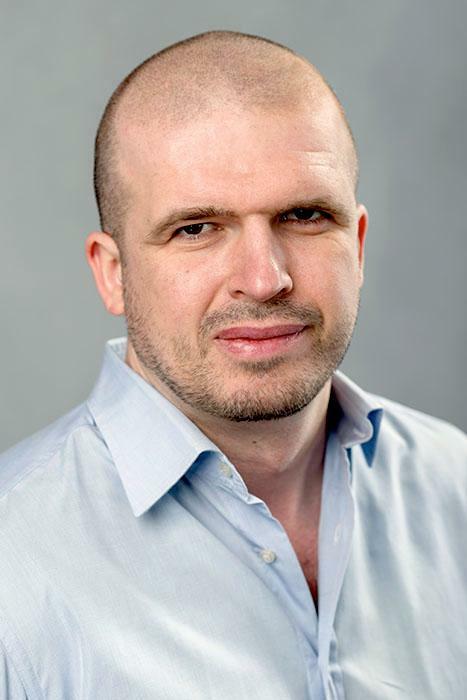 Marcell Sebők is an Assistant Professor at the Medieval Studies Department, the Project Head of the Digital Humanities Initiative and currently, besides his other preoccupations, co-teaching "Beyond Illustration: New Approaches to Research and Teaching with the Digital Humanities." Marcell is a cultural historian of the early modern period with special interest in Central European Humanism, the intellectual history of Muslim—Christian relations and the history of science. For a concise list of his publications visit https://people.ceu.edu/marcell_sebok. Jessie Labov is a Resident Fellow at the Center for Media, Data, and Society, and co-teaching the course "Beyond Illustration: New Approaches to Research and Teaching with the Digital Humanities" this fall. Before relocating to CEU, she was Associate Professor in the Slavic Department at Ohio State University. Publishing projects include a co-edited volume with Friederike Kind-Kovács, Samizdat, Tamizdat and Beyond: Transnational Media During and After Socialism (Berghahn 2013), and a monograph entitled Transatlantic Central Europe: Contesting Geography and Redefining Culture From Beyond the Nation (CEU Press 2017). In addition to her work in Slavic Studies, Jessie has also directed a variety of digital humanities projects concerned with issues of canon formation, text mining, and visualizing the receptive pathways of literary journals (Reading Kultura from a Distance). Gabriella Ivacs is presently the Head of the Archives and Management Section at IAEA, Vienna, and previously she was Chief Archivist at the Vera and Donald Blinken Open Society Archives, CEU. Her expertise of records manegement and archival operations was relied on by the OSF, among others, in issues of preservation, digital curation and open access. She was also instrumental on developing the concept and plan for the Digital Humanities Initiative. Viktor Lagutov is the Head of the Environmental Systems Laboratory at the Department of Environmental Sciences and Policy, Central European University (Budapest, Hungary). He holds a Masters Degree in Applied Mathematics from the South Russia State Technical University (Russia) and MSc and PhD in Environmental Sciences and Policy from the Central European University (Hungary). His research interests are focused on environmental modeling and spatial analysis with special emphasis given to river basins and water security. Lagutov has been cooperating with the DHI on GIS-mapping training and project incubation. Tamás Kiss is the Project Coordinator of the DHI and two ERC projects at Central European Universit as well as is a historian of the Ottoman Empire and the early modern Mediterranean with a PhD in History/Medieval Studies. Tamás has taught a variety of literary and historical courses at Queen Mary University of London and Central European University. Some of his recent publications include "The Re-enactment of the Ottoman Siege of Famagusta at the Ottoman Imperial Circumcision Festival of 1582: A Performance that Never Was?," ed. Michael Walsh, Famagusta: City of Empires (1571-1960) (Cambridge Scholars Publishing: Cambridge, 2015) and Michael Walsh, Nicholas Coureas, and Tamás Kiss (eds. ), Crusader to Venetian Famagusta: "The Harbour of All This Sea and Realm" (Budapest: Central European University Press, 2014).